The antioxidant property of celery makes it the most likeable produce around the world. Celery has been used for centuries together. It is in recent times that the intake of celery has increased due to its beneficial enzymes, vitamins and foliates. However, little do we know that this legume that helps in improving blood pressure and cholesterol levels can be dangerous if eaten rotten or spoiled? The repercussions of eating lousy celery are apparently dangerous. It can turn to a severe food poisoning to severe stomach aches and vomiting. It is therefore essential to pay a special attention to how long does celery last and its storing method. Does Celery Go bad? How Long Does Celery Last? How Long Does Celery Last In The Fridge? How to tell if the Celery Has Gone Bad? How To Store Celery Properly? The marshland plant has a long fibrous stalk tapering into leaves. All the part of the celery are used for cooking, be it the stalks or leaves or hypocotyls or even seeds (that are used as the spice). This is a legume that is eaten worldwide and does not restrict to only a particular territory. 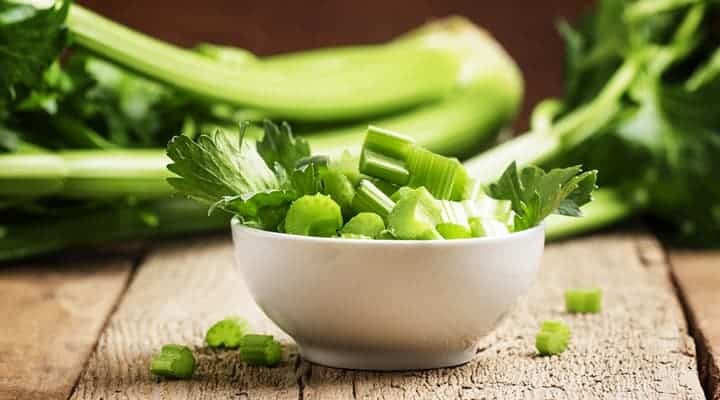 According to the Medical News Today celery contains phytonutrients like phenolic acids, flavonols, dihydrostilbenoids, flavones, furanocoumarins, phytosterols that benefit the human body. The leaves of the herb are used in producing mild spicy flavour to the food that makes it a great delicacy. It is also used a dried herb for seasoning purpose on baked or roasted dishes. The seeds are valuable oil. It contains chemical compound apiole. They are also used for flavouring and remain one of the ingredients of the spice affair. In fact, when the seeds are grinded and mixed with salt, it gives a special celery salt. It is an excellent seasoning for cocktails. According to Sandi Busch, this nature fibre's supplies 4% of daily fibre to the body with just one stalk. Since it has the equal amount of soluble and insoluble fibre, it is this fibrous nature that tends the veggie to get spoilt easily. Not many people know this, but yes celery can go wrong if not stored appropriately. The technique of keeping the celery stalks firm and crunchy is in its storing. By the very look of it, you know that the celery's shelf life has ended. You will understand that the celery is on the verge of decay when its stalks start to spread out from the bunch. This is because they become soft and bendable. Greener is the celery better is its quality. Older legumes will look white and becomes hollow from the middle. If you can slice the stalks into sticks and place them in the ice water and then placing them in the fridge, it is good to last for three odd days. You must make sure that the water logging does not take place. If this green is appropriately stored in the fridge, it can remain crunchy and fresh up to two weeks. When the green is stored in whole in a damp paper towel or aluminium foil, the shelf life increases undoubtedly. Alternatively, frozen celery can be stored up to six to eight months. The technique of storing should be strictly followed then. Defrosted celery is pleasant to taste and remain fresh for cooking purpose. Typically fresh whole celery will last for three to four weeks in the fridge. The celery packages that we get in the market remain good for two to three days. 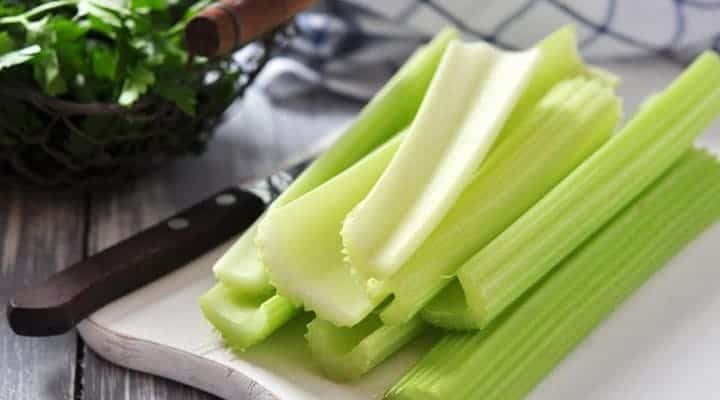 Home cooked celery can last for a week in the refrigerator. Depending on how you store and in what form you store in the fridge determines its lasting shelf life. When it comes to chopped raw celery, expect a lifespan from one to two weeks in the refrigerator. But when it comes to cooked food, it remains good for a week and if you freeze it, a good ten months. It must also be noted that varying temperatures of the fridge may make the vegetable go spoilt. Maintain a constant temperature where the salad remains stiff, firm and green. If the stalk has not been removed too many times out of the fridge, the celery can last for more number of days. Removing the container of celery out of the fridge and putting it back spoils the nutrient quotient of it. After you have bought the celery, the most vital part is its storing. If your technique of storing has gone wrong, you must let the celery part ways for it is harmful to consume lousy celery. 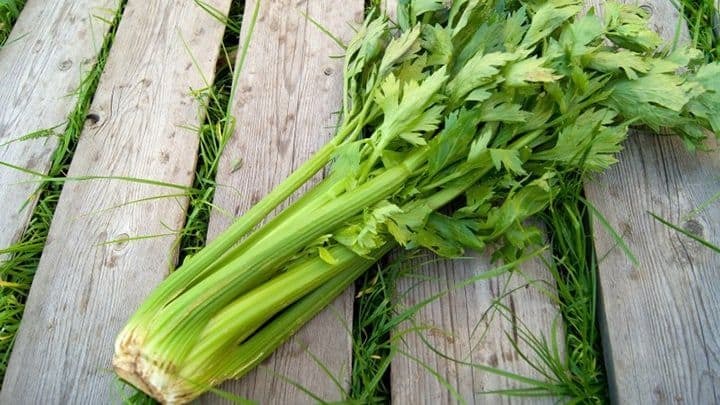 Here are few factors that will make you understand how to identify bad celery from good ones. Check on to the colour. Good celery will look green and firm. While a rotten one would turn the darker green and have drooping stalks. It becomes slimy and has a rubbery feeling too. A fresh one, on the contrary, will remain bright green, firm, no brownish part within any side of the legume. Many a time when the produce if not stored with ethylene gas observer, the veggies are ought to start smelling rotten. If you have frozen the celery and wanted to use it. Use the entire portion that you have thawed. Once thawed it must be consumed immediately. Again putting into the freezer will start deteriorating its nutritional content and will become rancid. If the product has been exposed to moisture, there are chances that the celery has gone wrong. This is the reason it is advised to store in the damp paper towel or aluminium foil to prevent the moisture onto it. Even when you chop and you find them in pieces, not that is bad to eat, but such pieces can then be used in soups or put in water jars to get the moisture retention back. This happens when the celery has dried up. Its easily soft and bendable nature will tell you so, the experts who have studied on celery say so. To avoid celery going bad, it is essential that the storing must be apt. Best way to increase the shelf life of celery is to wrap it up tightly with the help of an aluminium foil. Lindsay-Jean Hard says the best way to increase the shelf life of celery is to keep the heads whole. After tying up tight with the aluminium foil, it must be held in the refrigerator and not out. All you got to do is, buy celery that has straight and firm stalks. The leaves must be fresh. Now you may remove the stems from the base of the celery. You may now strip the leaves from the celery stalks. ( this is one to keep the celery fresh). Cut the stalks in half and put the celery into a glass bowl by holding an inch space into it. Now to this, you may add fresh filtered water till the rim. 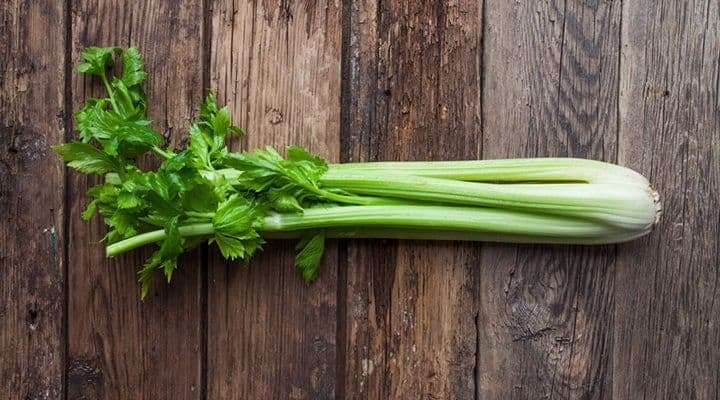 It is a must to change the water every day to maintain the freshness of the celery. Simple wrap the celery in the aluminium foil and keep it refrigerated. The ethylene released from it remains the celery fresh. Alternatively, this vegetable can also be wrapped in paper towels. For this, you got to cut the ends of the celery bunch to get the stalks. After dampening the paper towels, cover the celery with it. Now use a plastic zip lock bag to seal it and place it on the refrigerator shelf. The leaves of the legume can be placed in zip lock bags and kept it in the freezer. Making stock is good. This legume can also be stored by freezing. Merely blanch it and store in freezer bags in the freezer. With the fast pacing life, it is not always that we go for vegetable buying and sorting. There are certain vegetables when kept handy works wonderfully well. It is significant that we eat the fresh and tasty vegetable. There is no need going in for bio-bags to keep your celery fresh. It can be done by merely following the storing techniques. Tips for keeping the fridge clean with no other odour that can disrupt the freshness of the vegetable, using water to keep herbs fresh etc. will make celery remain crisp for days together. But it is always advisable to pay a special attention to the tips that let us know about the good from the bad.